Once considered to be canon and part of the expanded universe, my short story "Droid Trouble" was first published in Star Wars Adventure Journal #3, and still exists in Star Wars Legends; although not quite as cool as being canon, it's still pretty awesome. In addition to "Droid Trouble", I was working with the editor of the Star Wars Adventure Journal, Peter Schweighofer, on a second short story called "Discoveries" when the experience requirements for writers changed, but both stories are available to read below. Now part of Star Wars Legends, Droid Trouble was inspired by Mon Mothma’s speech from Return of the Jedi about the Bothans providing information on the location of the second Death Star. I started to wonder about these spies; who were they, where did they get the information, how did they deliver, what happens if they get caught. At around that same time I’d gone to the Philly Comic-Con and met the editors of the Star wars Adventure Journal, where the story I would write was later published. My second short story for the Star Wars Adventure Journal, as I was working on the final draft, the writer’s requirements changed and I was unable to submit the story. I’d long felt that Star Wars was a great setting for stories outside of the primary Skywalker story arc, and for this story I decided to explore it from the point of view of someone loyal to the Empire. Setting it well after the Battle of Endor, I was able to use some of the bitterness from the fall of an Empire to explore elements of a psychological drama. 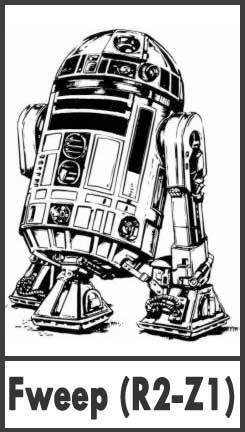 While the link above is a colorized recreation of the cover art for the short story, Droid Trouble, I've included the original illustrations by Doug Shuler below. 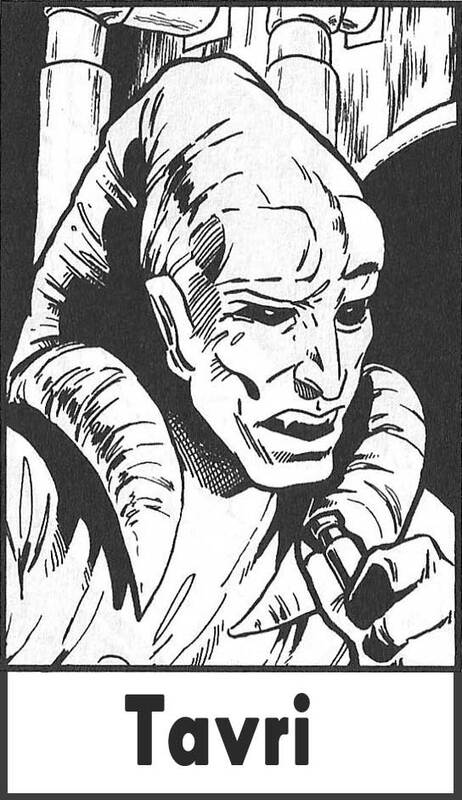 Nim Bola, Tavri, and Fweep go on to make appearances in the follow-up West End D6 RPG adventure: A Deal Gone Sour, published in Star Wars Adventure Journal #4. I'd also written an RPG adventure that follows up on Discoveries called Scouting Around, where the players would have the opportunity to secure the base while dealing with the kreks and a saboteur who had a story to tell. In the spirit of the Star Wars movies where the droids are the only persistent characters through the films, Fweep also makes an appearance at the end of Discoveries. I so enjoyed writing the little droid that he was also re-imagined for FreeSpace Pirates: The Saurian Opportunity.